This 1,536 sq. 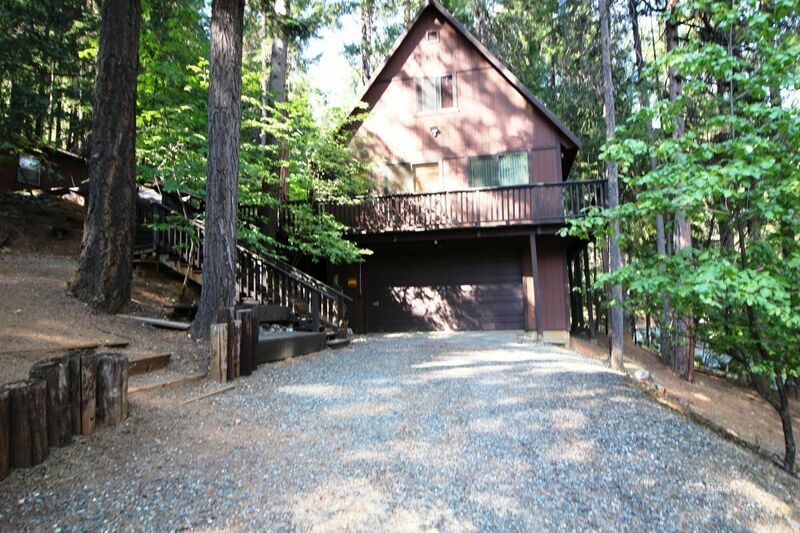 ft., 4 bedroom, 2 bath, 2 story home sits on two parcels totaling .7 acres in a beautiful natural setting close to Trinity Lake. The home features a wonderful open floor plan with stunning Knotty Pine ceilings with the kitchen, living room, a full bathroom and two bedrooms on the first floor. Going up the spiral staircase to the 2nd floor there are two very large bedrooms and another 1/2 bath. All beds, refrigerator, oven range and dryer are included with this sale. This home has plenty of room for family and friends to come and enjoy. There are two sliders to the deck for outdoor living and entertaining, a beautiful garden area, plenty of room for an RV and not to mention a 2 car attached garage and a new 4 car detached garage. This is a hidden gem so don't miss out on this opportunity!! !